When HTC showed up in January with the HTC U Ultra, we were skeptical about the entire schtick. While the phone has a solid set of specs and is quite the looker, the unlocked sales pitch that included a 2-month pre-order period was odd. We actually called it an HTC Kickstarter project. Yikes. So here we are two months later and the phone is now available. 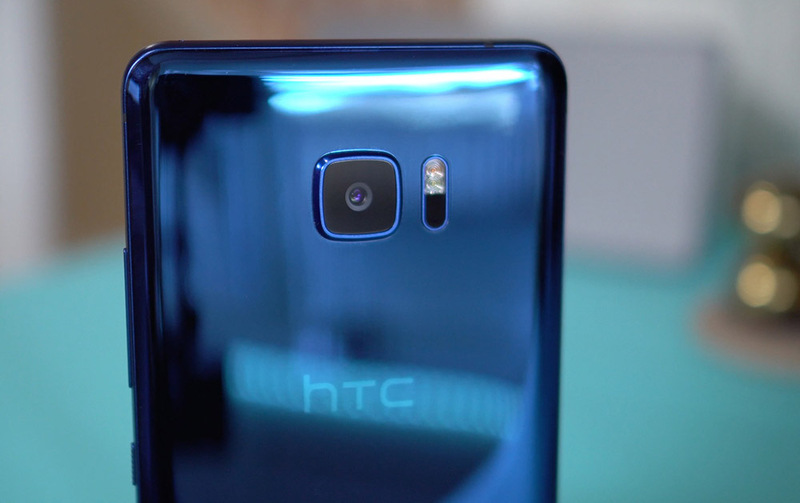 We’ve had one in house for a little over a week and have a whole bunch to say about it in this lengthy HTC U Ultra review. To recap, the HTC U Ultra is an unlocked GSM phone that works on AT&T and T-Mobile in the US and costs $749 through HTC’s online store. In the box, HTC is including some extra goodies, like a clear case and HTC USonic earbuds that create profiles of your ear by listening to them or using sound waves or something along those lines. You’ll find a Type-C cable too, as well as a quick charge adapter and a cleaning cloth, which you’ll most definitely need with black or blue models. There are no carrier partners, though you can find it cheaper at places like eBay. The U Ultra features 5.7-inch QHD LCD display with secondary ticker display, all of which is covered in Gorilla Glass 5. You get 64GB storage out of the box with SD card support, 4GB RAM, 3000mAh embedded battery with Quick Charge 3.0, USB Type-C port, fingerprint reader, HTC BoomSound with dual speakers, a Snapdragon 821 processor (same as is in the Pixel and G6), 12MP UltraPixel 2 camera at f/1.8, 16MP front camera, and Android 7.0 with HTC’s Sense on top. See, it’s all there for the most part. As for what’s good about the U Ultra, you might be surprised to know that quite a bit of it is good. From the really, really nice LCD display to the external speakers with BoomSound and one of the best smartphone cameras around, there are some things to like. Unfortunately, there are just as many drawbacks, like the ridiculous size of the phone at a time when everyone else is shrinking bodies, how easy it scratches and smudges, the lack of a headphone jack (or a 3.5mm adapter), a smallish battery, and again, the lack of availability coupled with that high price and the limited connectivity. Verizon LG G6 Pre-Orders Now Live!